Ganesh Bhalerao is a cartoonist hoping to go viral in the battle to secure Prime Minister Narendra Modi’s re-election when India votes over the next two months. Hired by the ruling Bharatiya Janata Party (BJP) to find amusing ways to lionise Modi or lampoon opposition leader Rahul Gandhi, Bhalerao is a social media warrior in an election campaign being fought online as never before. “Political parties are realising the importance of cartoons as they elicit a huge response,” the 29-year-old former art teacher told Reuters while feverishly sketching a piece glorifying the Modi government for ordering India’s recent air strikes against Pakistan. Cartoons posted on BJP-run Facebook pages, Twitter handles and WhatsApp groups are shared hundreds of times and reach millions, Bhalerao told Reuters as he worked in his apartment in the western city of Pune. “A cartoon conveys the message of a 500-1,000 word article in just a minute,” he said. The scale of elections in India means voting is staggered, with the first regions going to vote on April 11, and the count to be completed on May 23. Each day Bhalerao reads the local newspapers, watches the television news, and checks his WhatsApp messages, seeking ideas for an image or issue that might resonate with supporters of the Hindu nationalist BJP. Being a Modi supporter himself makes it easier. Like the BJP, Gandhi’s Congress Party and other rivals have their own armies of artists, video editors and journalists to create online content for the social media war. Hired for the campaign season, they get paid a few hundred dollars a month, according to half a dozen party workers who spoke with Reuters. Social media has made it a lot easier for political parties to get out their message to more voters. But nowadays, India’s masses want politics served with more pizzazz. Nearly two-thirds of the population is under 35 years old. Most have little time or patience for attending political rallies, or wading through turgid party manifestoes. “The larger audience is now more inclined to short videos, cartoons and visuals,” Diptansu Chaudhury told Reuters in Kolkata, where he heads the IT wing of Trinamool Congress, a powerful regional party in West Bengal. India is by far the world’s biggest democracy, but most of its 1.3 billion population belong to lower income groups. And, at a time when more mature democracies than India’s are grappling with the impact of social media, there are concerns about the electorate’s susceptibility to false messages spread online. As more than two-thirds of Indians live in rural areas, political parties are trying to extend their social media reach through regional languages, to go beyond urban areas where Hindi and English are more commonly spoken. When Modi’s BJP won a landslide victory in 2014, social media had not become as pervasive as it is today. Data plans were expensive and pricey smartphones were unaffordable for far more people. Now there are more than 400 million smartphones users and consumers are able to access nearly 50 gigabytes of data for as little as $3 per month. It all helps explain why social media platforms like Facebook, its messenger WhatsApp and micro-blogging site Twitter have become such fierce political battlegrounds. In 2014, parties spent less than half a million dollars on digital advertising, but this time round it is likely to be closer to $26 million, according to a top media and marketing firm, which did not want to be named. India’s Election Commission has asked candidates to report their spending on social media and it also requires them to seek approval for advertisements, but such rules can be bypassed by the use of proxies. A code of conduct, which prohibits political campaigning 48 hours before voting in any area, will apply for online campaigns too, the commission said earlier this month. But the new rule is unlikely to stop thousands of party workers from spreading messages on social media platforms. 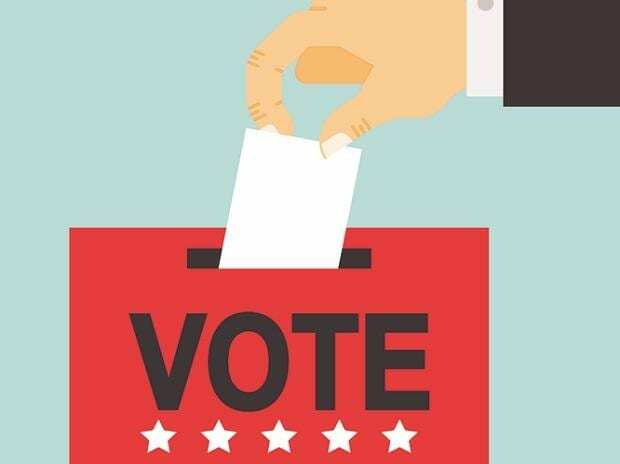 Putting a cut-off on campaigning doesn’t have any effect anymore, as the Commission is unable to control what is posted online, according to Nikhil Pahwa, digital rights activist and editor of MediaNama, a Delhi-based publication. “It just doesn’t know how to deal with the idea of content being available online in perpetuity,” Pahwa said.